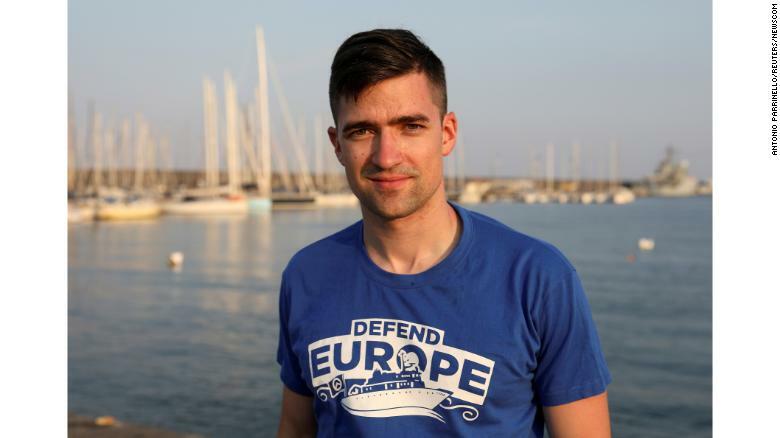 Martin Sellner, the leader of Generation Identity, poses in the harbor of Catania, Italy, in July. London (CNN) Britain has detained and deported three online far-right personalities after they attempted to enter the country, on the grounds that they were “not conducive to the public good,” the Home Office said Tuesday. Austrian Martin Sellner, leader of far-right group Generation Identity, his girlfriend Brittany Pettibone, an American YouTuber, and Canadian YouTube personality Lauren Southern were refused entry into the UK in recent days. Last week, Sellner and Pettibone announced in a YouTube video posted on Twitter that they were planning to speak at “Speakers’ Corner” in London’s Hyde Park on Sunday, March 11. Instead, they were detained at Luton Airport on Friday and removed from the UK on Sunday, according to the Home Office. Upon their return to Austria, Pettibone claimed on Twitter that she was detained because she intended to interview British far-right activist and former spokesman and leader of the English Defence League (EDL) Tommy Robinson. Next Post Facebook bans Britain First pages !! !